STEM Pals is looking for individuals interested in being Coaches and Mentors for our FIRST Robotics FLL, FTC and FRC teams for the 2014-2015 season. A FIRST Coach is a responsible adult who regularly attends team meetings and accompanies the team to competition. The coach provides general guidance and encouragement to team members, but is not necessarily a technical expert. A FIRST Mentor is a individual who can provide hardware, software or presentation skills guidance to team members. Mentors do not need to necessarily be available for all team meetings. Per OSD policy, both Coaches and Mentors must be willing to submit to a State Patrol background check to ensure the safety of our students. FIRST LEGO League (FLL) Coaches and Mentors work with motivated middle school students on their robot hardware/software design and research project/presentation, all while honoring the FLL Core Values. 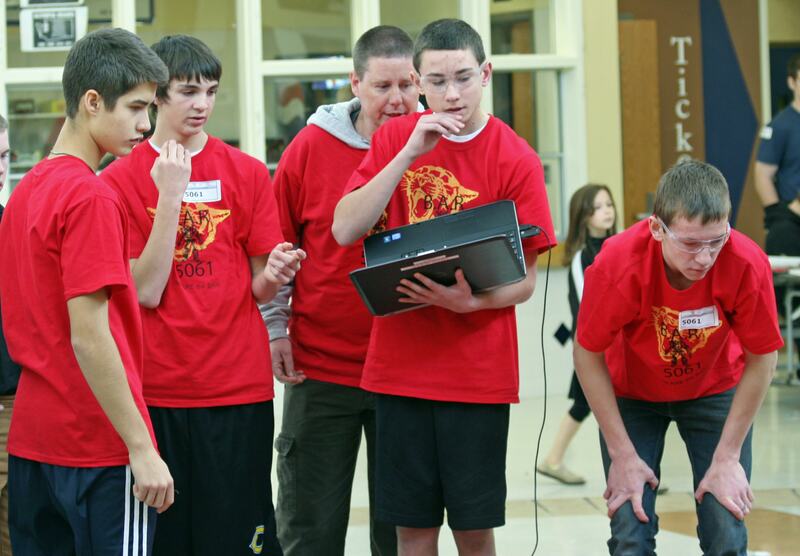 The 2014 FLL Challenge will center around new ways to gather knowledge and skills in the 21st century. The theme is called, “World Class“. FIRST Tech Challenge (FTC) Coaches and Mentors work with motivated high school students on their robot hardware/software design. 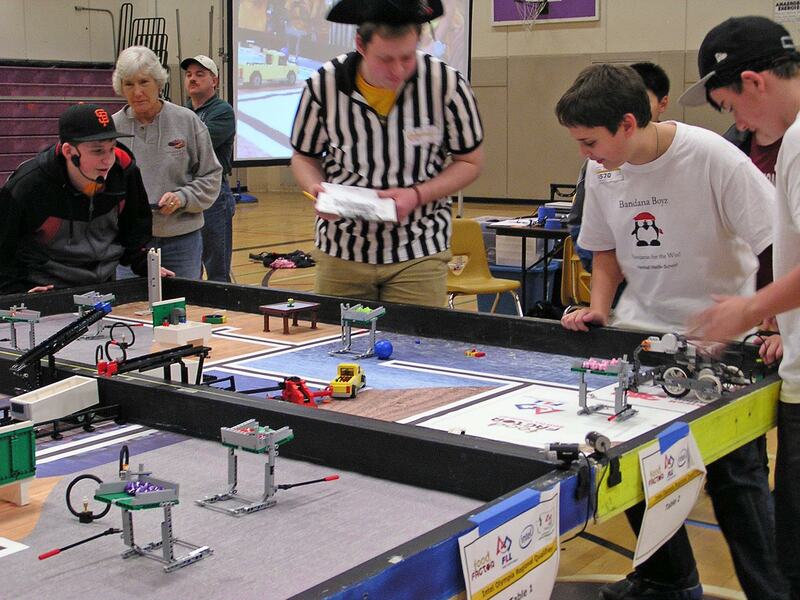 The 2013 FTC Game, Block Party, is described in this video animation. This past season, one OSD team, Oly Cow, competed in the World Championships, with their alliance placing third in this culminating challenge of the 3,300+ FTC teams around the world. Details of the 2014 game will be released to teams in September. 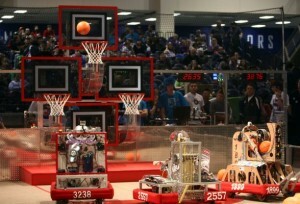 This game promises to create another exciting an intense season for our FTC teams. OSD’s FIRST Robotics Competition (FRC) team had a great season this past year, culminating in a trip to the Pacific Northwest District Championships. As can be seen in this FIRST Promo Video, FRC is the high end of the FIRST spectrum of robotics competitions and involves building largely custom robots to compete in a gymnasium-size arena. The Olympia Robotics Federation (ORF) team combines the efforts of all thre OSD high schools. This flagship effort will take a great deal of community support to enable the district-wide opportunity for all OSD high schools. The need for Coaches and Mentors is critical. The team will be working through the summer and pre-season to fundraise, research technologies, line up resources and train on equipment. The FRC game will be announced in early January, 2015 and this will kickoff the 6 week build season. The Washington State competitions will take place in February and March 2015. Please consider becoming a STEM Pal by selecting the link below to become a Coach or Mentor for our young engineers. Thank you. To volunteer for this need, click here to fill out the volunteer form.